The revolution of everyday life. Friday evening, and after a hard week back at the chalkface, I was in need of a lift. With a few quid left over from the summer spending money and new albums out from Nick Cave, King Creosote and Pictish Trail, I headed down to Bexhill’s stellar record shop, Music’s Not Dead, for some – and I know it’s not a nice phrase - retail therapy. But as so often with Music’s Not Dead, you don’t just get to pick up the albums; there is always a warm welcome and sometimes you get to have some of the tracks played to you live by the artists themselves: music therapy. 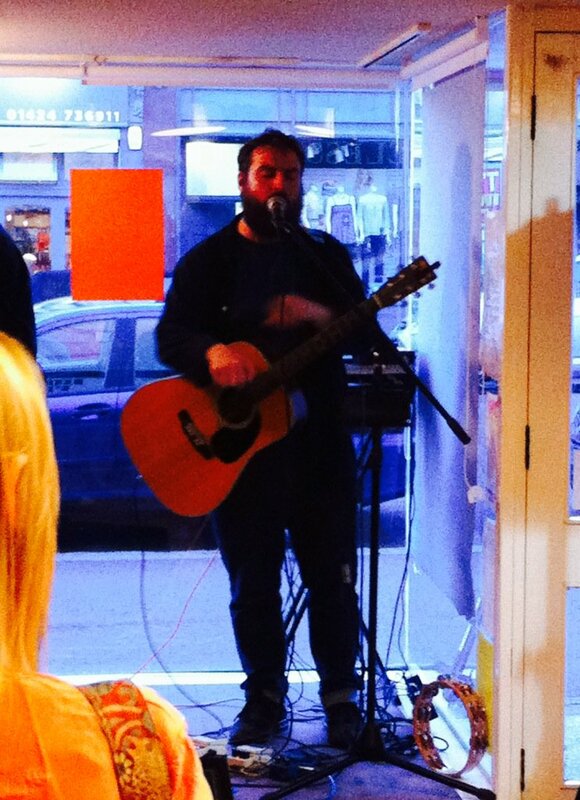 Last night it was the turn of Isle of Eigg-based Johnny Lynch, AKA Pictish Trail and head honcho of the Lost Map record label, to perform in-store to promote his beautiful new album, Future Echoes. Supported on bass and keyboards by Suse from Lost Map band, Tuff Love, he delivered a short but diverse set, mostly from the album. The first song from Future Echoes was Until Now, a traditional and haunting number which highlighted Lynch’s voice at its tender best. We were also treated to Half-Life, the centrepiece of the album, with its nagging refrain of “we will always decay”, and the funky shuffle of Dead Connection which name-checked his label name throughout. Using acoustic guitar, keyboards and backing tracks, Lynch is something of a sonic genius; it is this mixing of a folk sound with electronics that makes Pictish Trail stand out and, with the slow beats of Far Gone, he introduced us to Scottish hip hop, or ‘shop’ as he playfully branded it. I first saw Lynch at last year’s Green Man festival with Sweet Baboo, producer of Pictish Trail’s previous album Secret Soundz Vol. 2. They were something of a comedy duo on that sunny Sunday evening on the Walled Garden stage and Lynch was no different last night. His despair at the political climate in the wake of the EU referendum and his realisation, on seeing young people off their faces at Bestival, that he is not seventeen anymore had us laughing a lot. It was a wonderful evening: ensconced in the shop, listening to great music and watching the surprised faces of passers-by in the twilight street outside. We got to have a quick chat with Johnny afterwards about the weather at Green Man, getting Sweet Baboo to come to Bexhill and his forthcoming Brighton gig with a full band. Then I was home in time to carry out my usual Friday night ritual: falling asleep on the sofa. Pictish Trail play the Green Door Store, Brighton on Monday 10th October.